Sorry, St. Hubertus & Oak Bay Estate Winery does not ship wine to United States. A characteristic Beaujolais. 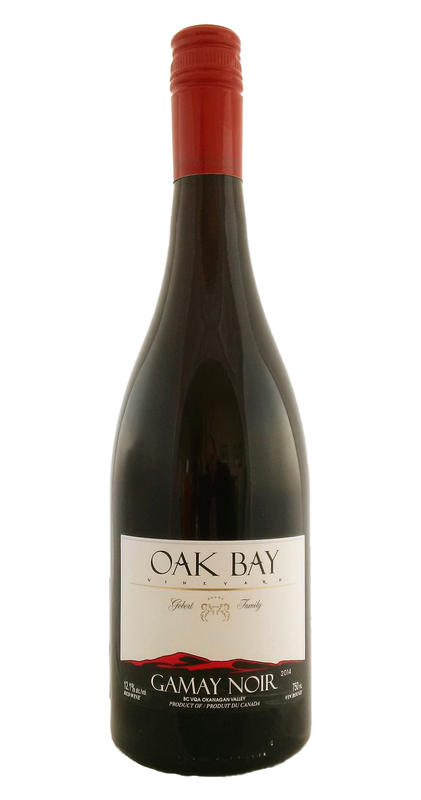 Our Gamay shows intense black cherry, peppery, mineral aromas with very light, dry tannins. Perfect for your fondue party at the ski chalet! Also, serve with Birch Syrup-roasted squash ravioli with brown butter hazelnut sauce or white B.C. Sablefish over a bed of lentils with vinaigrette. This is a featured wine in July's Wine Club package. Geographical Indication: Okanagan Valley, B.C. Nose: Earthy, plum bouquet with spicy vanilla oak notes. 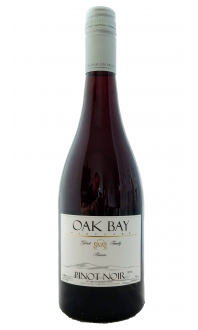 Palate: Medium-bodied, dry, plum and black cherry flavours with balancing acidity and evident oak; ripe tannins. Quality: Very good+ quality. 88 points. Can hold for 1-2 years. Food Pairing: French charcuterie like terrine and saucisson sec, Camembert cheese, grilled salmon, cold chicken sandwiches and other picnic fare, and pork schnitzel.